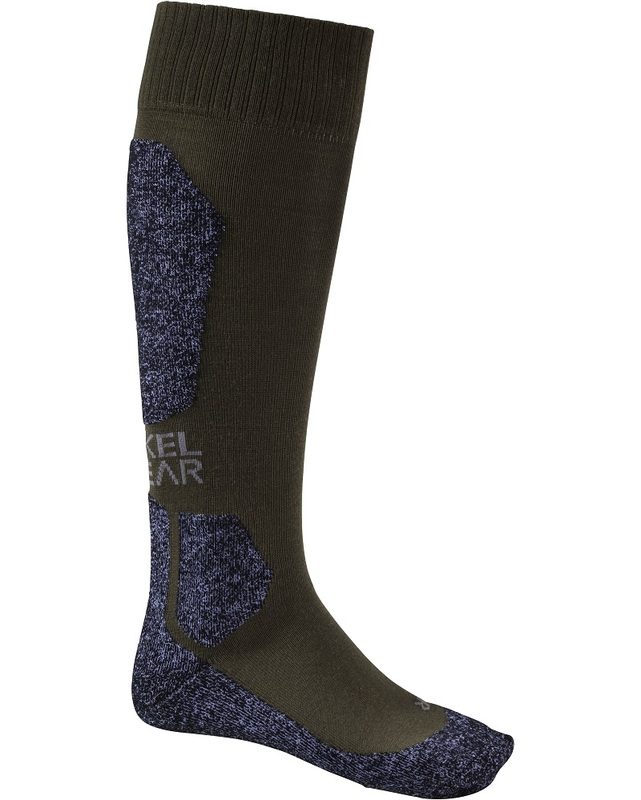 Merino socks by MerkelGEAR in knee-length, slightly warmer design. Made from 72% premium merino wool (72% is a very good percentage for technical merino wool socks), these socks will keep your feet comfortable and dry for a long time. Merino wool has an antibacterial effect and prevents foot odour when sweating. The socks are made in such a way that both the sole and the heel, including the ankle and the toe area, are reinforced. This way, these places remain particularly warm and are also particularly hard-wearing. The entire calf – with the exception of the part at the Achilles tendon, where freedom of movement is necessary – has the same reinforcement, so that the knee socks don’t chafe, not even in rubber boots or mountain boots! With left and right symbol in the toe area and size information as well as washing instruction on the bottom of the outsole. Comfortable, pressure-free cuffs. Made in Europe.